Ezekiel, more commonly known as "King" Ezekiel, is the leader of his own community that he called "The Kingdom". He's often with his cool pet tiger named Shiva. He wants to defeat Negan and the Saviors by collaborating with Rick Grimes and Paul Rovia. He has his own incomparable style that fits well with his personality. The wig is paramount to your Ezekiel cosplay. The dreadlocks are gray / silver color and go down to mid-chest. We recommend using a balloon instead of the head mannequin if you are on a budget. 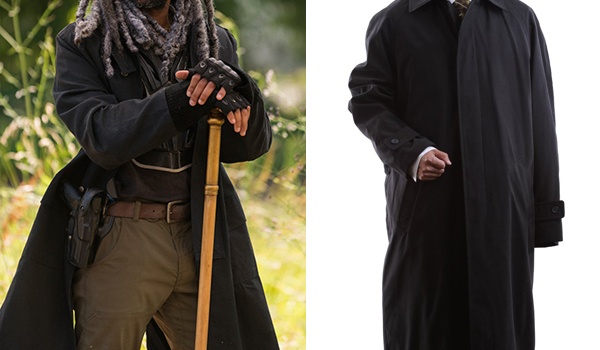 The coat that Khary Payton wears in The Walking Dead for his Ezekiel role is a long rain coat that goes just under the knees and is made of cotton. The Cianni All Year Round Raincoat is a close match and a great buy. 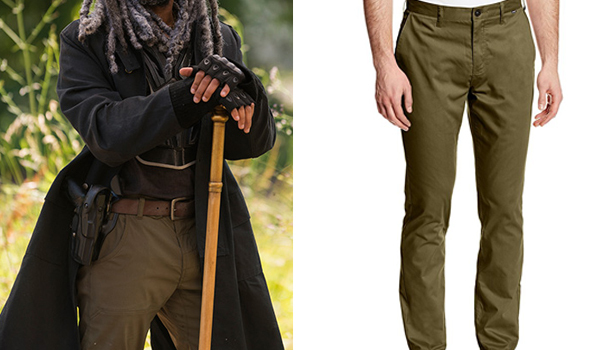 The pants that Khary Payton wears in The Walking Dead for his Ezekiel role are olive green chinos, very similar, if not the same, as the Hurley Dri-Fit Chino. 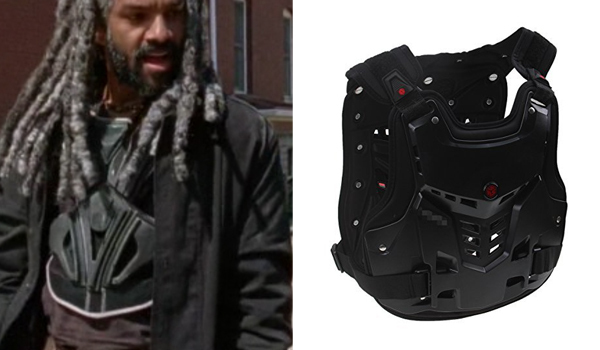 The chest plastron that Khary Payton wears in The Walking Dead for his Ezekiel role is black with white lining. It might be custom made (we were not able to find the product) but any chest protector will do. We recommend the pretty badass Possbay Body Armor. 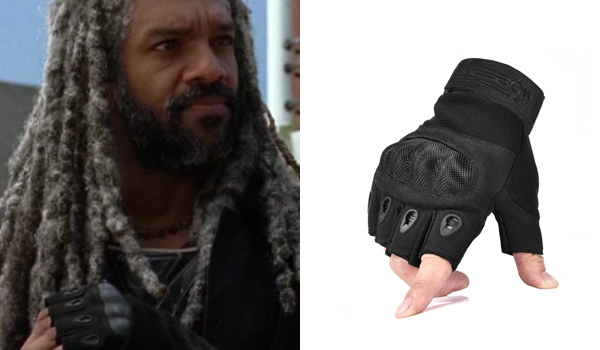 The gloves that that Khary Payton wears in The Walking Dead for his Ezekiel role are all black fingerless tactical gloves with hardshell knucles and breathable holes. They are Reebow Tactical Gloves.